One of the top wedding planners you will ever come across. Nothing is left to chance here as every detail is planned and executed to perfection to ensure you enjoy your big day to the maximum. It is quite rare to find local planners with such a distinguished talent to deliver so much quality regardless of the constraints of time. Driven by their passion for people and a desire for the social business, they have sailed the tide to become one of the big hitters in the wedding business. They do not see themselves as just any party organizer at your wedding but they go out of their way to identify and treat all just like family. This distinguishes them from anyone else in the business. This is your ideal destination where passion meets elegance. At V designs, Victor Hugo Garcia is dedicated to exceeding customer expectation in a very spontaneous and fun way. They have made a name for themselves as being the true masters of the visual impression in this industry. Your everyday Laredo wedding planners will offer and probably deliver an organized and cost friendly ceremony while V designs will deliver the same, coupled with unparalleled aesthetics. You will be stunned by their sheer ability to transform even a simple family gathering into an A-list celebrity like event consistent with their vision which is the epicenter of attention. 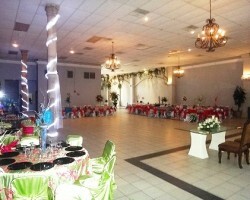 Are you looking for a wedding planner in Laredo, TX? 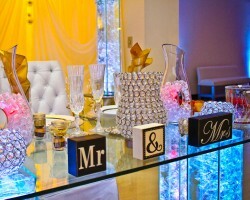 Then welcome to your ideal partner for expert wedding consultancy, baby shower planning, and birthday parties. Just as the name suggests Royal receptions have a knack for transforming even a simplistic event to one deserving of the royalty tag. They somehow manage to pull this off while at the same time not coming off as elitist in their valuation and pricing of services. 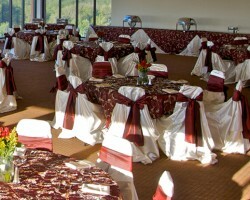 If you intend to find an event coordinator who will provide value for money then look no further. With Timeless memory you have certified professionals at your disposal with the ability to breathe life into your wedding fantasies and transform them into reality. They focus not only on capturing the intricacies that come with the beauty of the event but also the spirit and emotion of the ceremony. They do a phenomenal job and tick all the boxes on the checklist when it comes to pleasing their customers. Take advantage of their flexible appointment times and consultant services, and dare to dream. Grand palace is one of the best event planning companies in Texas with professional acumen to deliver a well-organized ceremony. True to their name, they have no problem delivering elegance in any celebrations big or small. They are committed to delivering an on budget lasting impression geared to satisfying customer dreams and desires. They allow you to worry less about the actual planning process and enable you to focus more on the actual goals and purpose of the event.